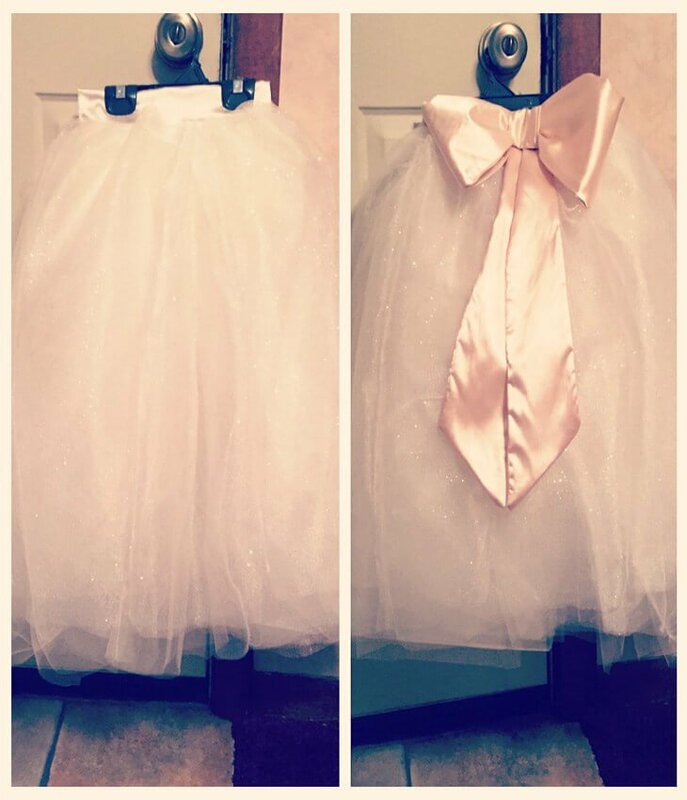 I was thrilled when I got asked to make bridesmaid dresses for a late November wedding. The bride decided on glitz sequins. 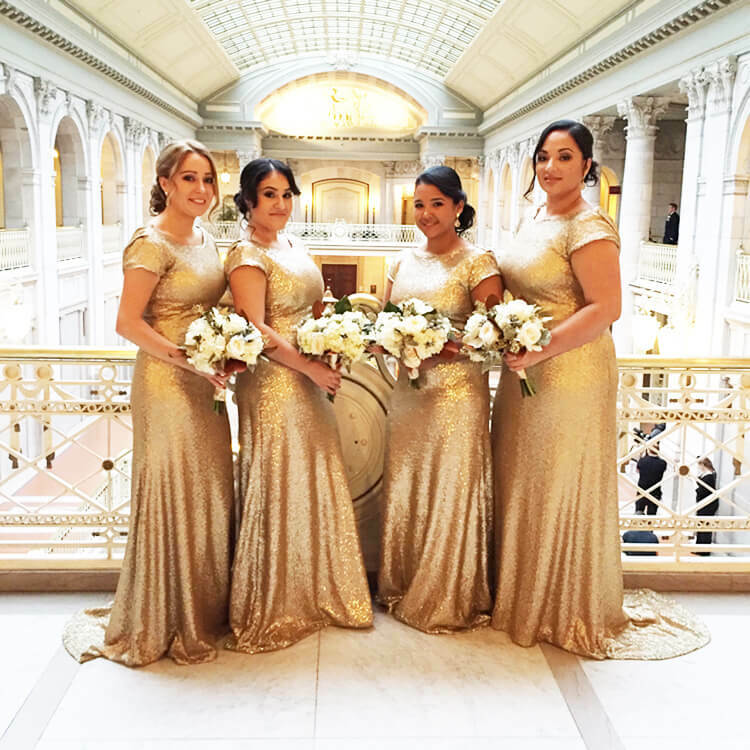 I showed her samples of our glitz sequins and we decided that the dull gold glitz sequin fabric worked best with the theme of her wedding (Great Gatsby inspired) and the time of year the wedding took place, which was close to the holidays. 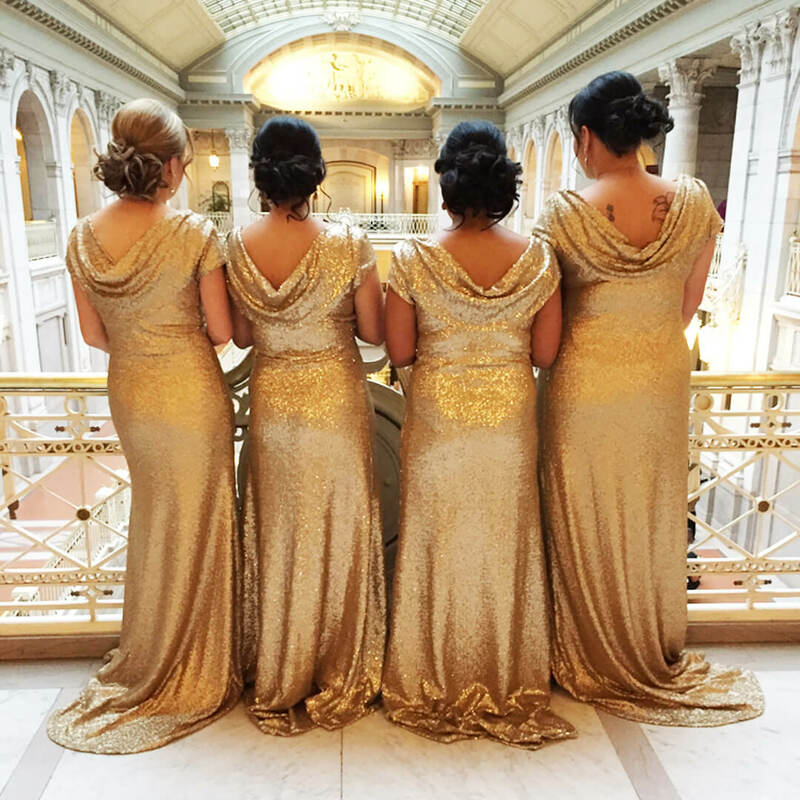 This was my first time making bridesmaid dresses and I wanted to share my process with you and what I learned along the way. A Great Gatsby theme means glitz, glamour, gorgeous gowns, elegance, sparkle, sophistication, and FUN! I ran with this idea and thought about the lifestyles of this era that was the 1920’s. The first thing that comes to mind is FLAPPER. But I knew I had to make these gowns a little more elegant for the wedding so I did a few sketches, showed them to the bride and decided on a long fitted gown with a train, and a draped back. Once the design was picked out, I got going on the draping process which turned out to be easier than I anticipated. 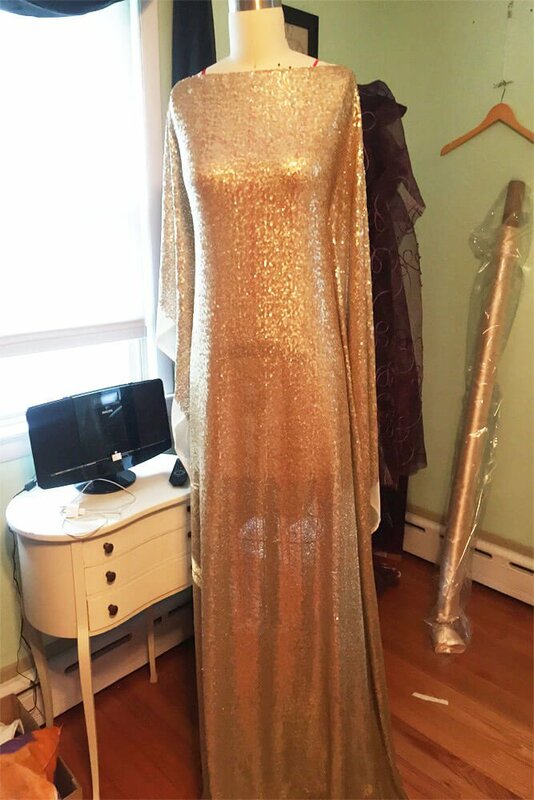 I used my size 10 dress form to drape and get the right fit. Prior to this, I took the measurements needed from each bridesmaid and kept them in mind while draping the dresses. I actually made each dresses a little bit bigger than their measurements and then fitted the dress to their bodies and altered it to their specific size and shape. There are other ways to go about this but this always works for me in order to get the right custom fit and shape of the garment. I’m still finding sequins in the cracks of my hardwood floors from the making of these dresses! Glitz sequins can be messy to work with but it was definitely worth it! The key is to go slow on the machine and use a medium to heavy weight needle. I used champagne stretch charmeuse for the lining of these dresses. It was perfect because of the silkiness, stretch, and weight of the fabric. 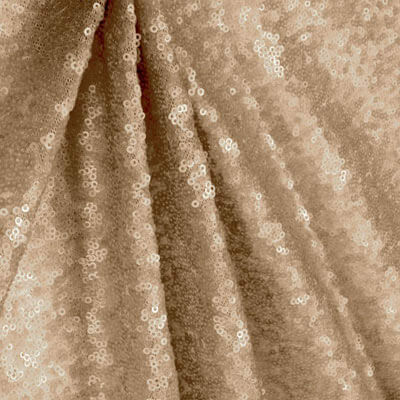 Glitz sequin fabric is stretchy so this stretch charmeuse worked perfectly with the sequins. Watch the DIY glitz sequin skirt tutorial here to find out how to sew with sequins.